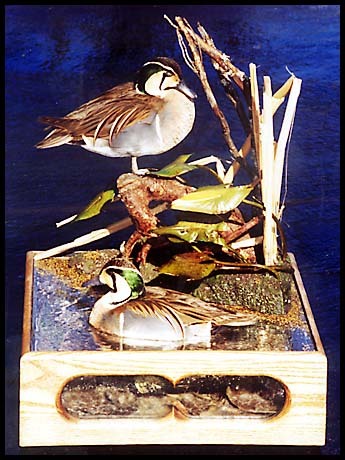 Ten-time World Champion bird taxidermist and wildlife designer Frank Newmyer of Michigan virtually invented the genre of artistic waterfowl mounts in elegant habitat cases. We are pleased to offer this gallery of duck specimens from around the world. Many of these mounted specimens are also available for legal purchase through Wildlife Designer in accordance with US Federal laws.